So, you’ve decided to take the plunge and buy a telescope – congratulations! 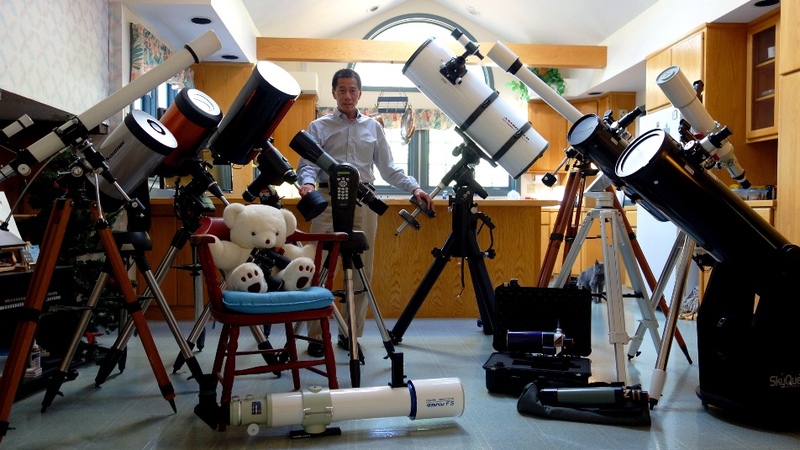 Astronomy can be a life long pleasure, with the right equipment. But what to buy? There’s more equipment out there than ever before. This article will attempt to make some sense out of the seemingly huge selection of scopes. A refracting telescope (also called a refractor telescope) is a type of optical telescope that uses a lens as its objective to form an image. The refracting telescope design was originally used in spy glasses and astronomical telescopes but is also used for long focus camera lenses. Refractors gather light with an objective lens at one end and focus the light at the eyepiece at the other end. The refractor is a sealed tube. It has an objective lens at one end that concentrates the light into the eyepiece at the other end. This design normally gives a slightly better image of the planets and the moon. A 60mm refractor is a good starter scope. A reflector uses a large primary mirror and a smaller secondary mirror to bounce the incoming light through to a lens. It has the advantage of being relatively cheap to produce (and therefore buy). This means your budget will stretch to a telescope with a wider aperture when buying a reflector. A reflector will be better at picking out dimmer objects such as distant galaxies or nebulae. A 4.5 inch reflector is a decent size starter scope. The most important aspect of any telescope is its aperture, the diameter of its main optical component, which can be either a lens or a mirror. A scope’s aperture determines both its light-gathering ability (how bright the image appears) and its resolving power (how sharp the image appears). The bigger the aperture, the sharper and brighter the view will be. A bigger aperture allows you to use more magnification. You can actually make any telescope provide any magnification at all (just by changing eyepieces), but without large aperture, high magnification is worthless – it just shows a blurry, dim mess. A telescope that can only be pushed to 50x (50 times magnification) before the view goes blurry will reveal Jupiter’s moons, Saturn’s rings, and some detail in the brightest star clusters, nebulae, and galaxies. But to discern Martian surface features or to see both members of a tight double star, you really would like to have sharp views at 150x or more.